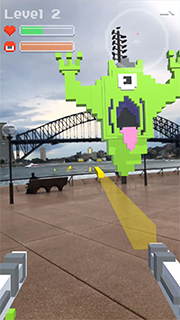 Pokémon Go proved that AR technology could improve the mobile gaming experience. 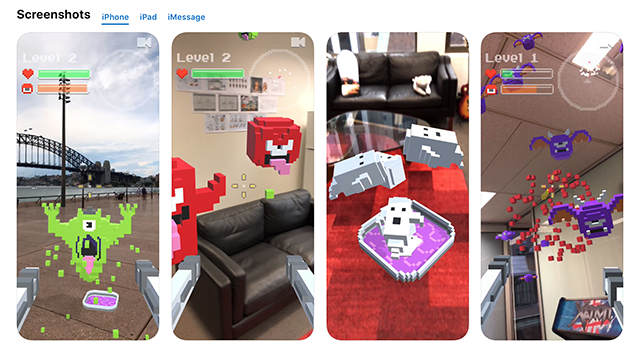 Since the launch and subsequent viral spread of that game, however, there haven’t been tons of AR success stories on the market. Ghosts ‘N Guns, like Pokémon Go, is another example of how fun the simple addition of AR can be. It accomplishes that feat, however, in a much less complicated and easier-to-play manner. 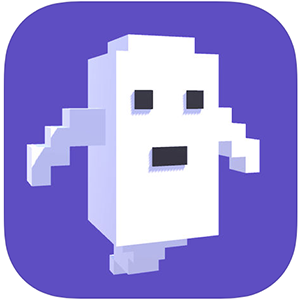 The mobile app, made by Turbo Chili and available on iOS only, transforms your real surrounding environment into the backdrop for an arcade-style game. It’s something you can easily play a few minutes and come back to later, but it’s still extremely entertaining. Ghosts ‘N Guns lets you drop a “portal” anywhere in the space in which you’re playing. Ghosts then emerge from the portal and surround you. It’s your task to shoot all of them down. As you progress through the levels, the ghosts become more numerous and difficult to fight. There are also little challenges and bosses that emerge after clearing levels. The game can be disorienting, because there’s a radar in the top right corner that tracks ghosts that can literally surround you. In that sense, it does require a fair bit of movement. Still, Ghosts ‘N Guns is an easy, yet fun game with re-playability value.